“l beg your pardon,” said he with some embarrassment, “I suppose I should have knocked. Yes, of course I should have knocked. The fact is that I am a little upset, and you must put it all down to that.” He passed his hand over his forehead like a man who is half dazed, and then fell rather than sat down upon a chair. 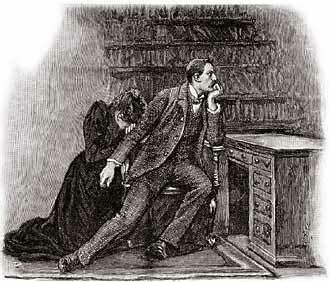 “My dear Mr. Grant Munro –” began Holmes.